Loopmasters welcome the incredibly gifted Luke Solomon to their Artist Series with an inspirational slice of royalty free samples designed for House, Tech and beyond. 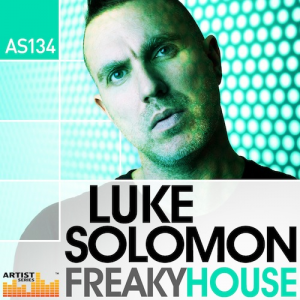 ‘Freaky House’ is a wonderfully diverse set of samples that highlight the full Luke Solomon sound, featuring just over 900Mb of loops and one shot sounds ranging from 102 to 128BPM including live electric, deep and subby to squishy moog basses, Incredibly infectious drum breaks, organic live percussion and an eclectic collection of signature Solomon melodies that are guaranteed to make your productions stand out. 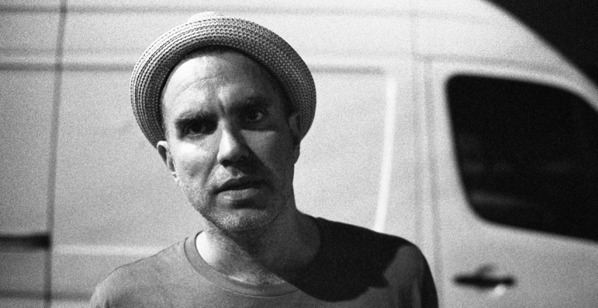 Striding into his third musical decade, Luke Solomon’s influence stretches far and wide across a scene that’s been embedded in his DNA since the early 90s. The rebirth of Classic Records in recent times has brought one of the UK’s most intriguing and respected artists to new audiences, ensuring his fingerprints remain indelibly imprinted on house music. As a producer, his output spans the spectrum from warm, deep grooves to boisterous dark room techno, on famed labels Crosstown Rebels, Playhouse, Classic’s own expansive stable and Rekids, home to his first album “The Difference Engine”. His work with Justin Harris as Freaks has seen a prolific output on their eponymous imprint, with their single, ‘The Creeps’ catapulting them into the UK charts. 2014 will appropriately see a final Freaks album emerge, which will see the cherished project – “a whole story in itself” – come to a fitting end. As these chapters close, focus falls into what remains: fresh solo EPs – “just warm, straight up house music” – a well-earned freedom and a bright outlook ahead. 2014 should see a new Luke Solomon emerge: the sung hero. In Detail Expect to find 909Mb of 24Bit 44.1 KHz 257 Loops and 278 one shot sounds including 40 Bass Loops, 43 drum Loops, 40 Top Loops, 50 Music Loops, 84 Live Percussion Loops, 10 Drum Kits with 164 Drum Shots, 17 Bass Shots, 3 Bass Multi Sampled Instruments, 18 Synth Stabs, 2 Synth Multi Sampled Instruments, 23 SFX, 277 Rex2 Files and 51 Soft Sampler Patches for Kontakt, Halion, Exs24, Nnxt and Sfz Formats. ‘Freaky House’ is a wealth of inspiration for any House and dance music producer and is the kind of pack you will dip into for years to come. To check out the demo track, download the FREE demo loops and sample Luke Solomon – ‘Freaky House’ visit http://bit.ly/1iO3JgS .